LIVEABOARD SPECIAL: dive-boats that will rock your world. 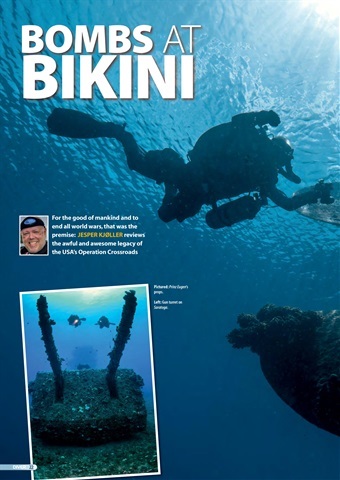 • AFLOAT OR ASHORE – Why choose a liveaboard over a resort? 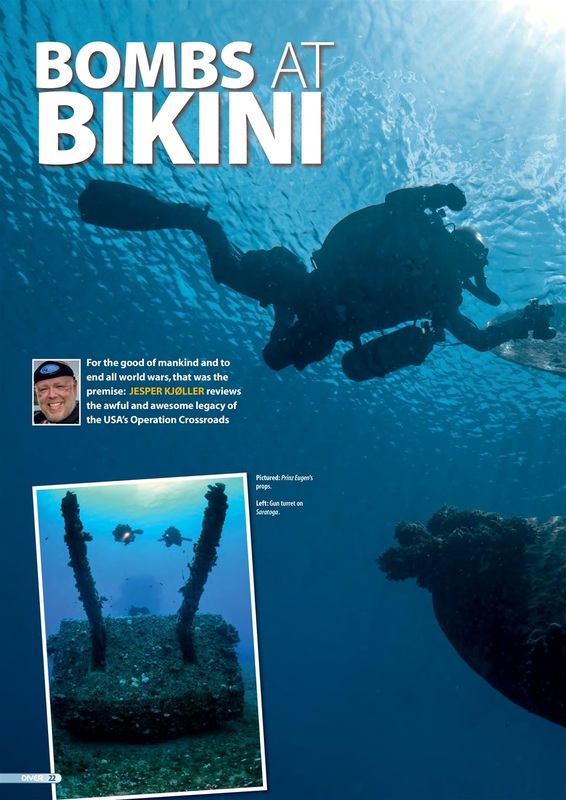 • BIKINI ATOLL – Tough journey but the wreck-diving is awesome. 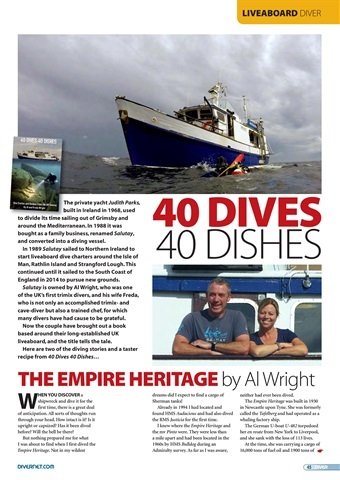 • 40 DIVES 40 DISHES – Finding classic wrecks – and feeding the divers. 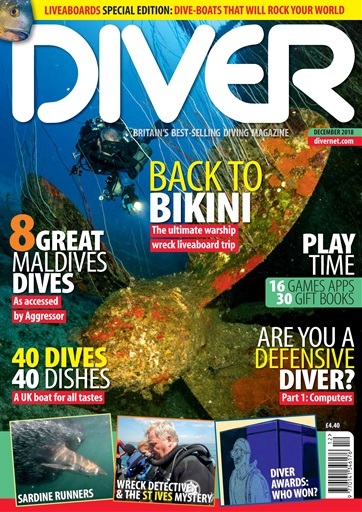 • MALDIVES – Star turns among dives reached by liveaboard. 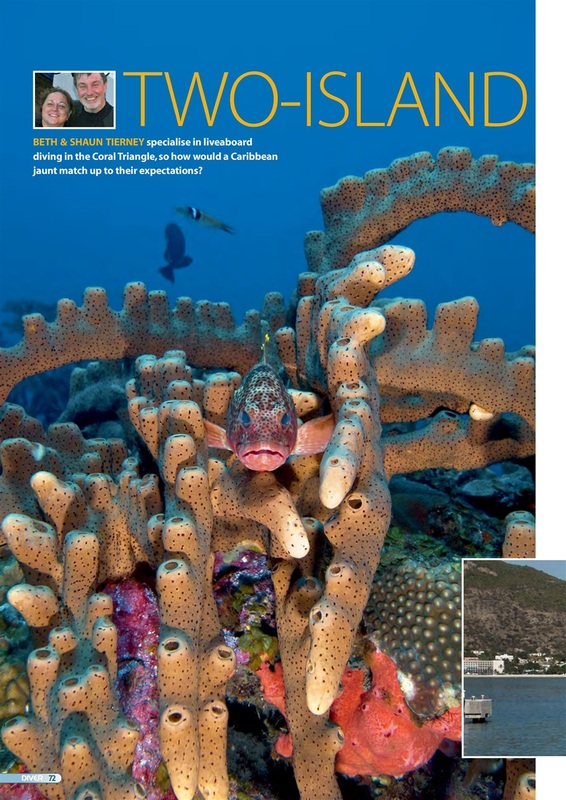 • SABA & ST KITTS – Coral Triangle fans sample cruising the Caribbean. 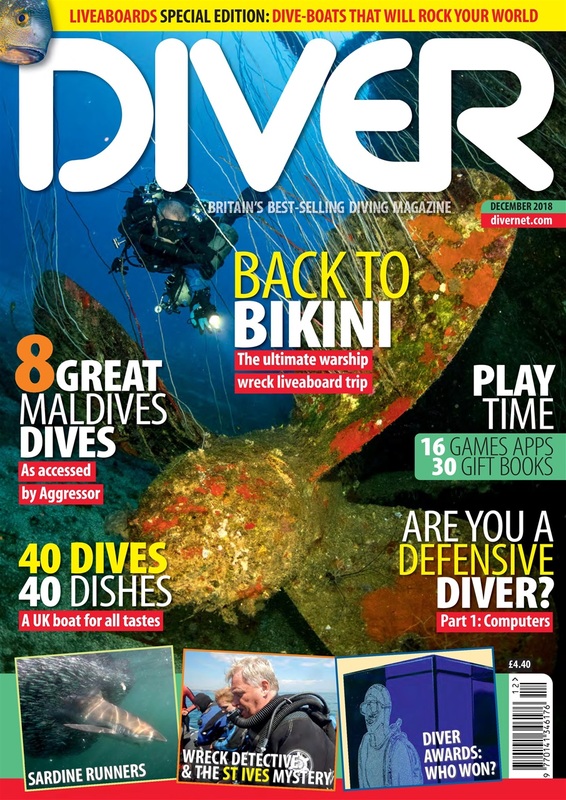 DIVER AWARDS – This year’s winners and the worthy runners-up. 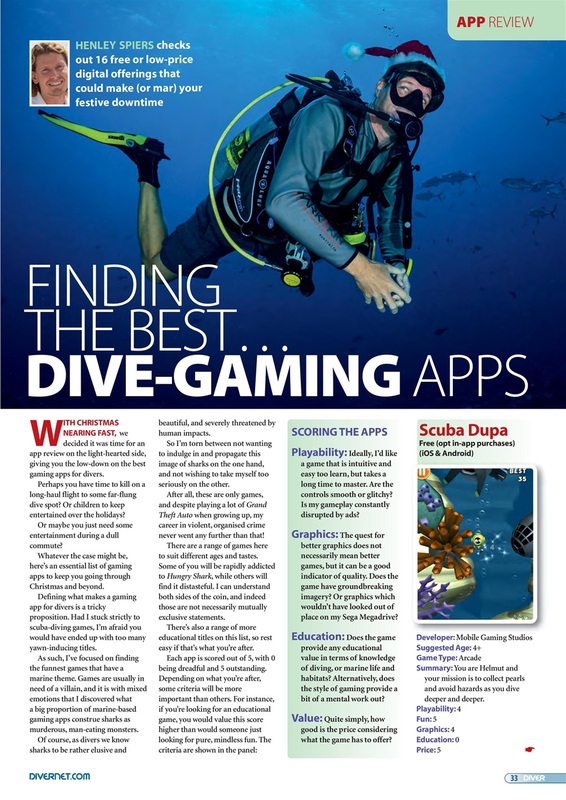 GAMES APPS – 16 low-cost games (but beware in-app purchases!). 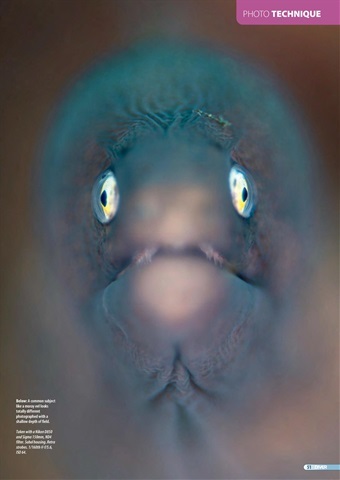 SADINE RUN – There’s nothing like South Africa’s annual spectacle. 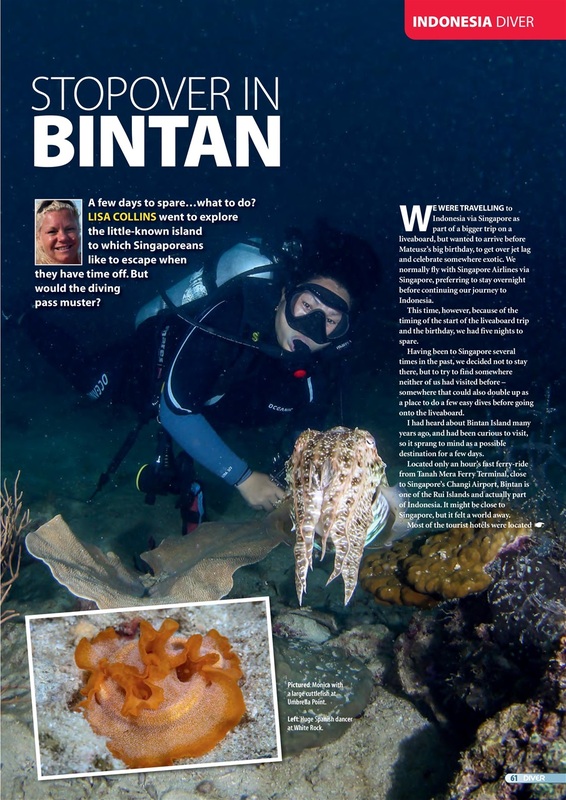 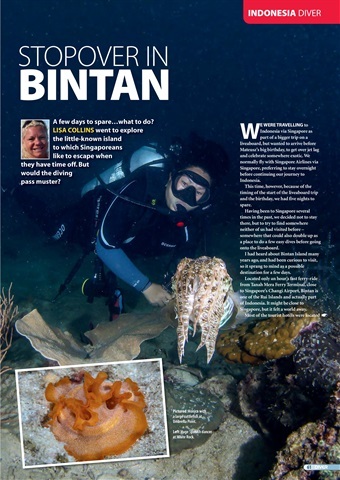 BINTAN – North Indonesian retreat, but how is the diving? 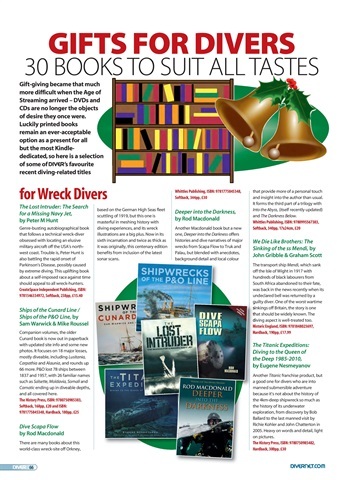 GIFT BOOKS – It’s Christmas: 30 books to suit all tastes. 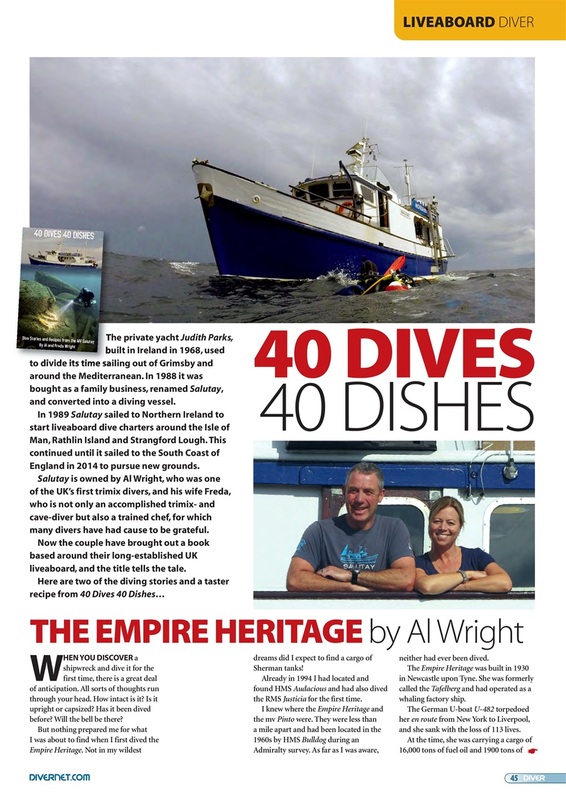 THE ST IVES – Mark Milburn tackles wreck puzzle in Cornwall.